This week, we had some healthy holiday snacks for your get-togethers. 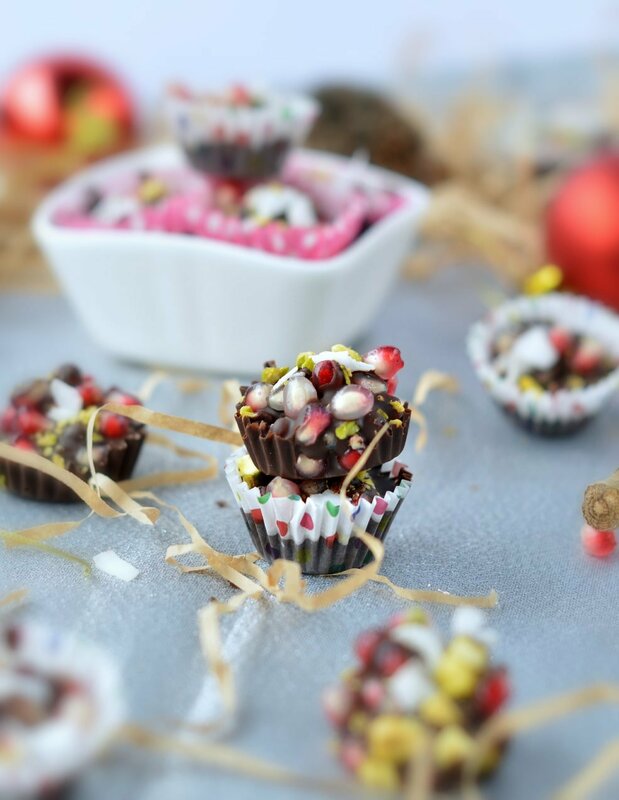 First up are simple Healthy Pomegranate Chocolate Candy Cups. This Candy Cane Nice Cream is perfect for the whole family. Whip up these Healthy Almond and Cinnamon Christmas Star cookies for Santa. This Skinny Peppermint Fudge is perfect as a gift or for holiday parties. If you prefer savory snacks, make these easy Cranberry and Feta Pinwheels. This Warm Gingerbread Breakfast Smoothie is easy and delicious. Throw together Gingerbread Glazed Roasted Nuts for party finger food.